Supreme is our best grade of California white sturgeon. 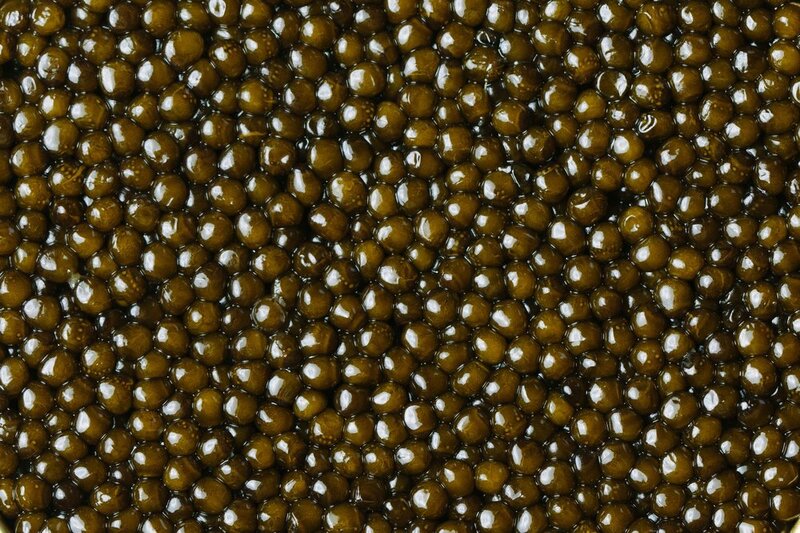 This hand-selected caviar is truly delectable with firm beads that burst with intensely rich and nutty flavors. 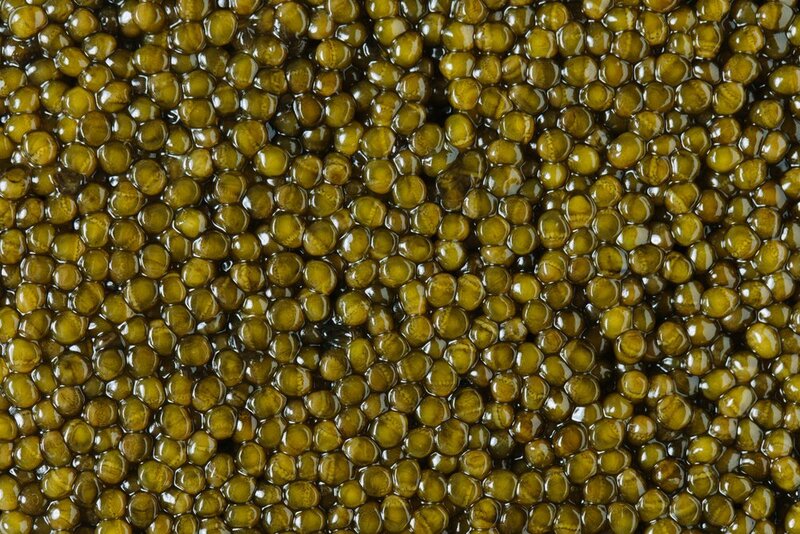 This superior buttery caviar has medium to large beads and ranges from amber to gold in color. 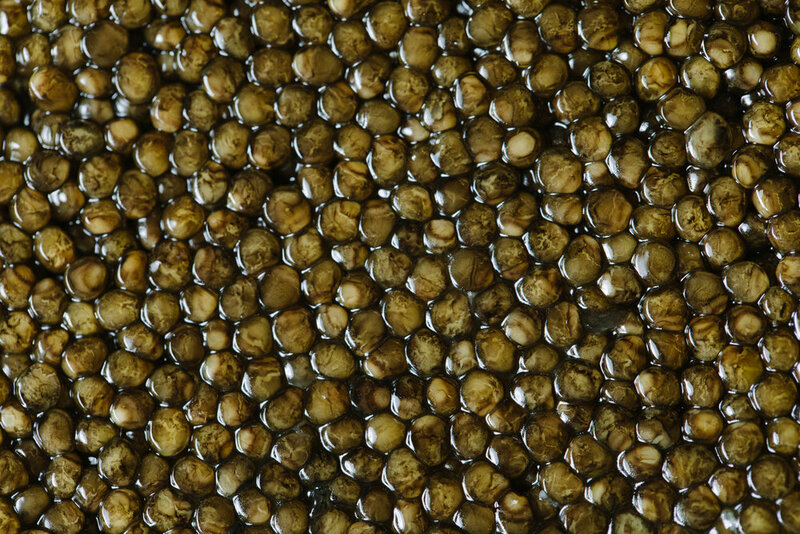 Our Ossetra caviar is a lustrous delight that inspires fierce loyalty. This elegant caviar arouses the palate with a robust nutty flavor and buttery finish. The egg color ranges from light brown to dark brown. The firm eggs gently pop as you pearl them in your mouth with complete satisfaction. Royal white sturgeon, also known as the other “black gold,” is a medium to large sized egg that ranges from light grey to amber. Its radiant marbling color is appealing to the eye. The sublime, farm-raised caviar from California has a smooth, nutty flavor with a creamy finish. This crossbreed of Kaluga and Amur Sturgeon is unique in appearance and taste. Each egg has a warm gray brown to light golden tone. This beautiful caviar is large and firm and its flavor is pure with a pleasant light after-taste. This reserve caviar from South America is freshly harvested on-demand. It is as pleasing to the eye as to the palate, offering a variety of shades and a subtle and slightly sweet flavor. Its clean and lightly creamy taste is good to be enjoyed on its own, or added to any dish for a delicate finish. The largest of the roes, this bright red orange pearl has a robust flavor and full burst. Try it on a bagel chip with a just a dollop of crème frâiche and a sprig of fresh dill for a delightful canapé. The small bead of shimmering gold tantalizes with a clean crisp flavor and a refreshing snap. Sprinkle over a bowl of Vichyssoise, Gazpacho, or even a Bloody Mary to add beautiful color contrast and an extra zing. 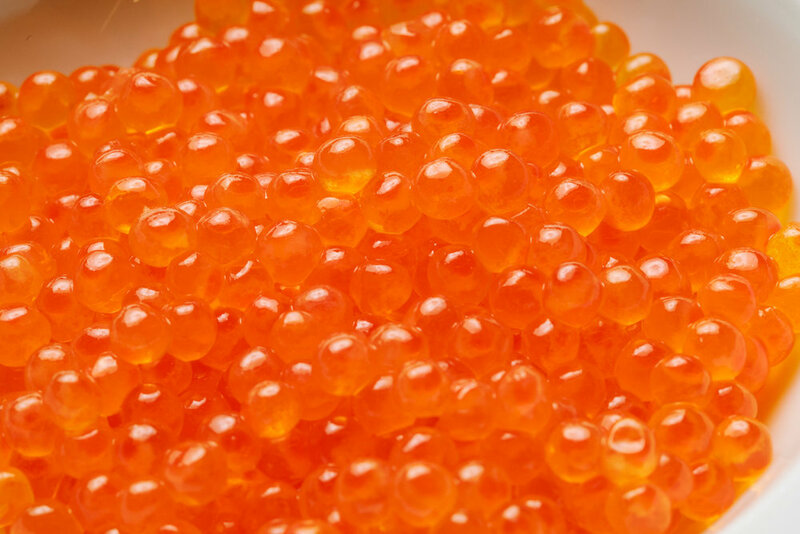 With the same buttery and nutty flavor as the Supreme and Royal caviar, this roe varies in size and color. The eggs stimulate pure pleasure with their soft texture, simplicity, and flavor. A small firm pearl of vibrant orange with a slightly sweet and briny taste delivering a splendid pop. Add atop any baked or grilled fish for a beautiful and delicious flair.